Some powerful individuals in government are behind the latest push to have the Port of Mombasa privatised in controversial circumstances before the next general elections to mint billions of shillings. The shift is to be achieved through a contentious community charter which was launched a few weeks ago by President Uhuru Kenyatta, whom sources claim, may not have been adequately informed about the project. Details on page 14 of the charter leaked out show that the port is to be transformed into a landlord port by 2016. For those not in the know, a landlord port is a model where the operator of core port services is a separate entity from the main authority. This means that if the schemers of privatisation process succeed, Kenya Ports Authority will only own the infrastructure while the provision of services will be taken over by private companies, some of which are to be owned by Nairobi and Central Kenya tycoons, it is feared. And on page 18 of the touchy charter, it explicitly provides that the transformation into a landlord port will see the privatisation of all stevedoring and shore handling services, a key revenue source that generates billions of shillings for KPA in the hands of the landlord. According to a number of coast leaders, it baffling as to why the government would want to rush to privatise a profitable entity instead of beginning with the ailing parastatals as a trial to remedy them. Kilifi senator Stewart Madzayo has termed the move to privatise the city port of Mombasa as daylight robbery. He says he suspects that some individuals might have misled the president into endorsing such a move. “How can the president who a few months ago declared that the port will not be sold all over a sudden agree into schemes to give away a national resource like KPA to a few individuals at the expense of majority Kenyans,” posed Madzayo. The senator urged all Coast leaders to come together and oppose the move, saying the local community, the region’s leaders and the workers’ union ought to have been consulted first, before plans to sell the port were conceived. He said a few selfish tycoons are scheming to benefit from sale at the expense of other Kenyans. “We are going to fight for this issue to the last drop of our blood if need be. This is hooliganism of the highest order. These are the kind of things that make Coast people feel aggrieved. How do you just come from Nairobi and lock yourselves in a hotel room and decide how a Coast resource of KPA magnitude will exchange hands without pausing to think what the local leaders’ opinion is? We must be respected,” fumed Madzayo. 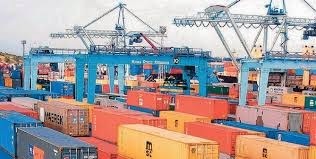 Other Coast senators who are to team up with Madzayo to oppose the privatisation of the port include Omar Hassan of Mombasa, Boy Juma Boy of Kwale and Abu Chiaba, Lamu. All the six Coast governors and the region’s MPs are also opposed to the privatisation of the port of which if effected, over 5000 jobs will be lost. However, even in view of the opposition, sources say it is all systems go as the port’s managing director Gichiri Ndua is hurrying the process before his term ends which analysts see as an underhand in the deal. He has teamed up with his predecessor Brown Ondego to ensure the mission is accomplished whether other stakeholders like it or not and through thick and thin, sources say. A source in one of the meetings scheming on the privatisation said no amount of opposition from any quarter will stop the process especially in view of recent demands by Mombasa leaders led by Governor Ali Joho, that the port of Mombasa be handed over to the county government to manage its affairs and be the administrative watchdog. “This is a fight to pocket the billions from the port and has nothing to do with improvement of port performance. Some people simply want to make a killing when circumstances can still allow. It is a sad state of affairs,” said a Mombasa businessman. Meanwhile, the giant Dock Workers Union has hired an expert to come up with a plan B to scuttle the privatisation. 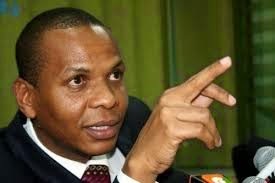 The alternative report will be presented to Uhuru in a month’s time according to the union’s chairman Jeffer Kiti.